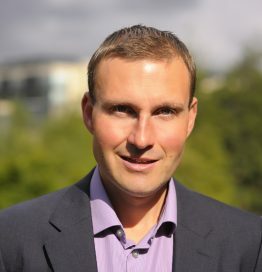 Uli Bethke is the co-founder and CEO of Sonra, the #1 smart data consulting company in Ireland. Uli is a data visionary and provides thought leadership in the architecture and implementation of data driven applications. He has led some of the largest and most complex data warehouse implementations in Europe. He is the main contributor to the Sonra company blog, which has a large number of global readers and followers. Uli helps companies to realise the value of their data. German engineering made in Ireland. Uli is the founder, chair, and organizer of the Hadoop User Group Ireland and VP of the Irish Chapter of DAMA International. Uli is also one of the few Oracle ACEs in Ireland and a former deputy chair of the Irish Big Data Oracle User Group.